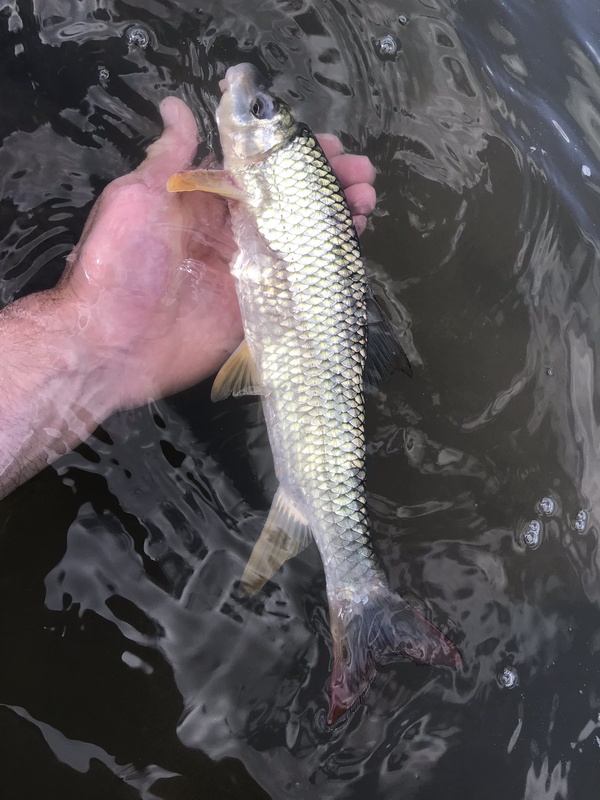 The only sucker I’ve caught that was easy: the Shorthead Redhorse. 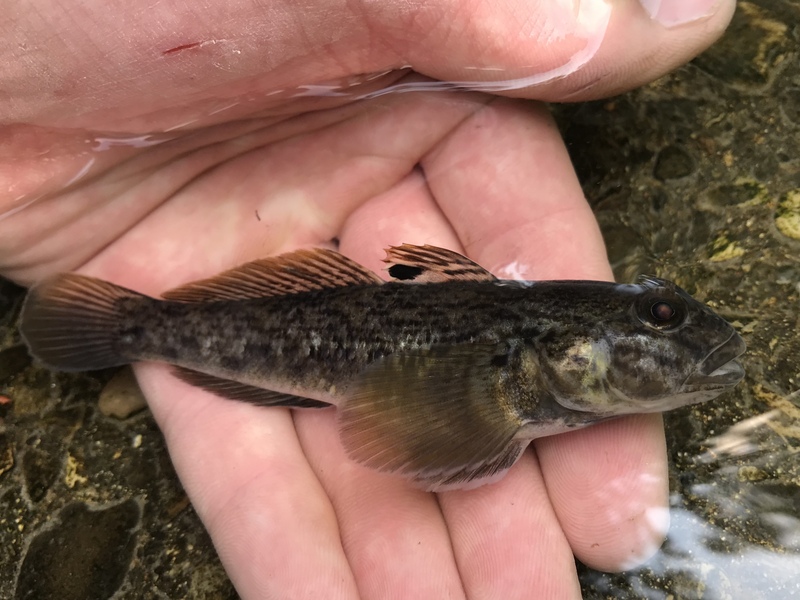 I live in Oregon, a place where half of our native suckers are threatened or endangered, and the other half can be difficult to locate and catch. Apart from Largescale Sucker, none of the sucker species we have are caught very often. Oh how strange this is when compared to the rest of North America and the 100 or so sucker species found there. Suckers are not only common, but they can be downright easy to catch in certain places outside of our wonderfully strange state. Take, for instance, the Shorthead Redhorse. On a tip from Ken Tse (read his blog here), I headed outside of Toronto proper to a semi-rural community on the Grand River. He put me just below a small dam in a scenic, grassy park. There were obviously fish around, and I quickly caught a small Smallmouth Bass. I could see a few micros, but the fast current and skittish nature of those particular micros only held my attention for 20 minutes or so. 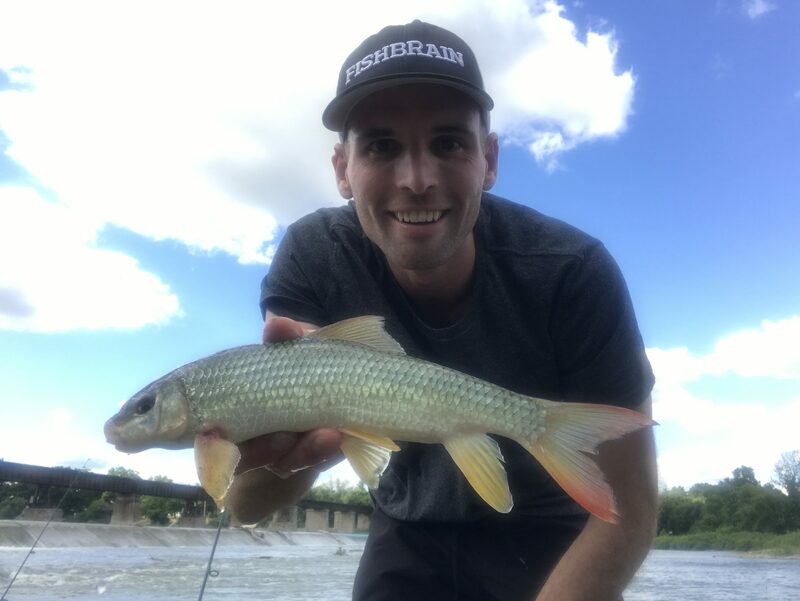 When I finally caught a micro, it was another smallie, so I opted to pursue the redhorse I’d actually driven there to catch. 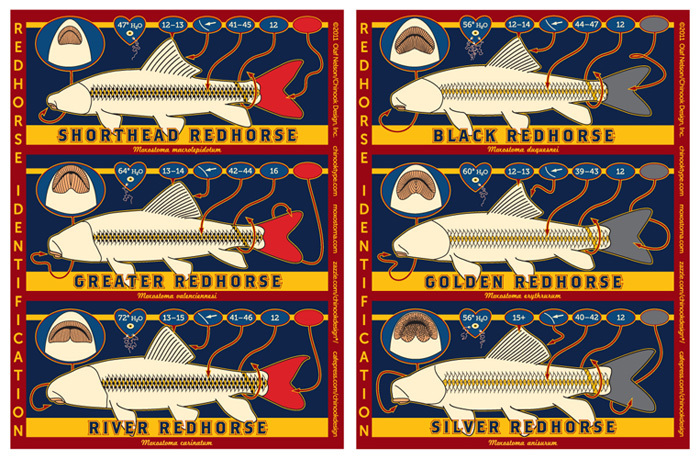 Several species were on the table, though Shorthead Redhorse were supposed to be the most common. My intel proved correct, and after about an hour of sitting on half of a nightcrawler purchased at the bait shop up the hill, my first rod bounced. Given the strange angle I was fishing below the dam, I had one rod out perpendicular to the shore and another sort quartering away downstream. Without going into the science of it all, and the fact that there was so much water to cover, it would’ve been nearly impossible for me to hit my target with just one rod. There had to be a second rod. I reeled the second rod (or was it the first?) as a small, unsuspecting crowd watched from picnic blankets on the grassy knoll. The last thing they expected was for my shot to ring out over the din, my splitshot, that is. Unfortunately, I was in the process of retying my micro rod and spilled splitshot all over as I fumbled towards my bouncing rod. I was stoked. Not only had I caught a new species, but it was one of the most beautiful fish I’ve ever caught in freshwater. Knowing at least enough to snap pictures of the fish in profile as well as pictures of its mouth, I released it. I knew it was a Shorthead thanks to a particularly helpful infographic I found online. The bite died, and I decided to move, instead going to the less accessible side that required a minimal hike down. While the first fish had taken an hour or two, the second took less than five minutes. The river on the other side was more conducive to fishing for suckers, which tend to prefer transitional zones between current and slower water, specifically behind current breaks. Lo and behold, a redhorse was waiting behind the first rock I cast to. I was pretty stoked at this point, thinking I’d figured them out. Also, this is a pretty good picture of me. At least, 1-in-50 women in Tinder think so. Again, I took the profile and mouth pictures even though I knew at first glance this was a Shorthead. My other rod bounced while I was taking this picture, and I had Fish No. 3. Don’t be jealous of how pretty my fish are. At this point, I was having fun, but I realized I had a long drive back to Fort Erie, the Canadian town right across the border from Buffalo, where I was staying. I hopped in the car and drove on. After spending my evenings chasing the fish that surpassed Common Carp as my favorite “rough fish” for the next few evenings — Species #159 — I tied into something else. I battled it to the bank against the current of the staunch Niagara River and landed it with some impressive acrobatics while flagging down a passerby to take a picture for me. 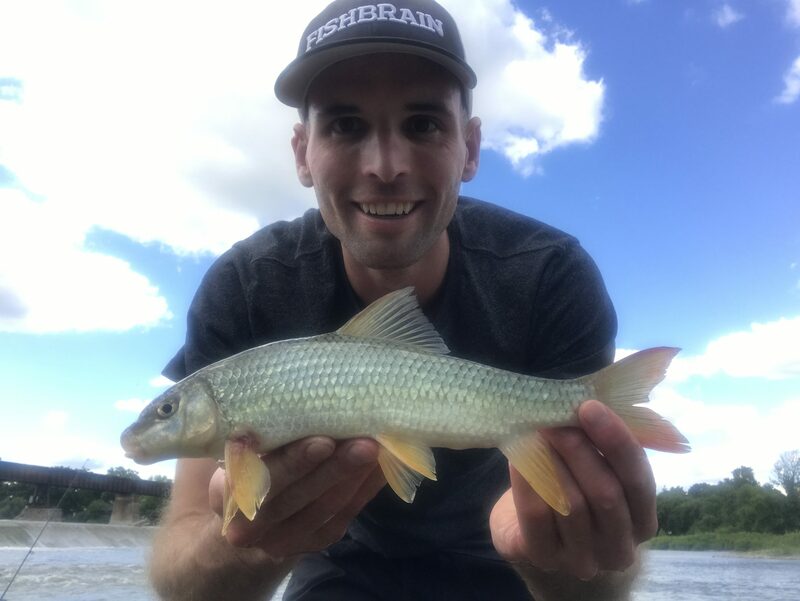 I originally identified this fish as a Golden Redhorse because it didn’t have the red tail I’d seen on the other Shortheads I’d captured, but I was later told it was another Shorthead. Cross-referencing the infographic above confirmed it was a Shorthead — just a monster. The notched dorsal fin and 44 lateral line scales were enough to overshadow the lack of red tail. Still, it was a beast of a Shorthead at 25″ and 4.6 pounds. Just a pound shy of the world record. Too bad. It would’ve been my first international record. I was targeting something else, but when this bad boy hooked, I wasn’t disappointed. Notice Buffalo in the background. Also notice the flexing right bicep. Don’t notice that this shirt was too small. I couldn’t have asked for a better way to end the evening and an incredible trip. I’d really enjoyed Canada, and I smiled when I got to get my redhorse on and ride into the sunset. Read the next entry in #SpeciesQuest here: Species #159 — Freshwater Drum. Such horrors have not been visited by such a small package since the Chuckie films were released. The north is a tough place. If the elements don’t kill you, there’s always the next power-hungry leader, plague, or toothy beast waiting in line to give it their best shot. Though civilizations north of the equator have more or less dominated the rest of the world for all of human history, their rule has rarely been uncontested. Even the most beneficent societies have elements of darkness waiting to overtake the light, these elements that so crave power or those that often achieve it — for better or worse. In fact, some leaders have led to power specific cultures so predominantly violent, vile, and vilified (turns out V is for more than just vendettas) that history remembers them as such. From the Vikings to the Scythians to the Mongol Hordes, darkness has found its place in the north many times. These societies could best be viewed as a scourge on all those they encountered. While one culture may choose to raise its children, another may vie to raze them. In modern times, a balance of power seemed to exist in a place viewed by many as the pinnacle of modern achievement. A place piggybacked on the success and dominance of its neighbor to the south, the United States. We speak, of course, of Canada. From it’s legendary cleanliness to its legendary friendliness, Canada is paradise. At least, it was. a Scourge of the North. The beautiful province, by far Canada’s most populous (it accounts for one-third of the entire country) is a land of extremes. From sprawling lakefront to modern cityscape to quaint farming communities, Ontario has a little of everything. 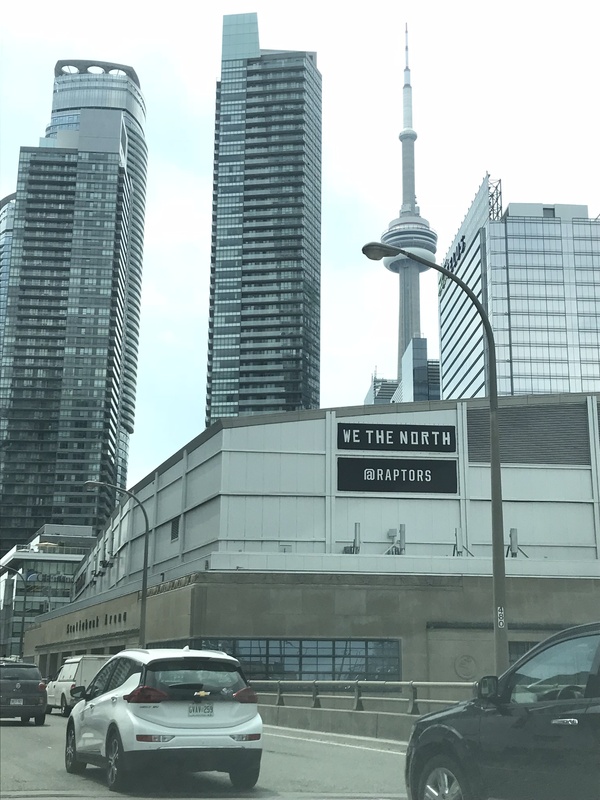 Toronto is a beautiful place. Nestled on the shores of Lake Ontario, it is considered one of the world’s most diverse and innovative cities. It is also home to resplendent natural beauty. Toronto, the nation’s largest city, is nothing short of spectacular. It is the second-most diverse place on earth, second only to Queens, New York, and it shows in the food, the architecture, and the people. Of course, it’s the food that got and held my attention. I landed in the Buffalo and immediately took my rental car across the border. My first night in Toronto, one of just two I had there, didn’t pan out. At this point, I was about three weeks into a stint away from home that had started in Florida, and I’d yet to go out and get skunked fishing, so of course it happened that night. I fished a park and saw a few skittish micros dart away from my headlamp but walked away empty-handed. That night, I drowned my misery in way too much delicious Nepali food. The next morning got off to a good start. It didn’t take me long to find the best donut place in town. Sorry, this is Canada. It didn’t take me long to find the best doughnut place in town: Glory Hole Doughnuts. In the foreground, I hold a bread-and-butter doughnut from Glory Hole Doughnuts. I pride myself on having good taste in donuts almost as much as I pride myself in fishing, so it means a lot when I say this was the single best donut I’ve ever had. 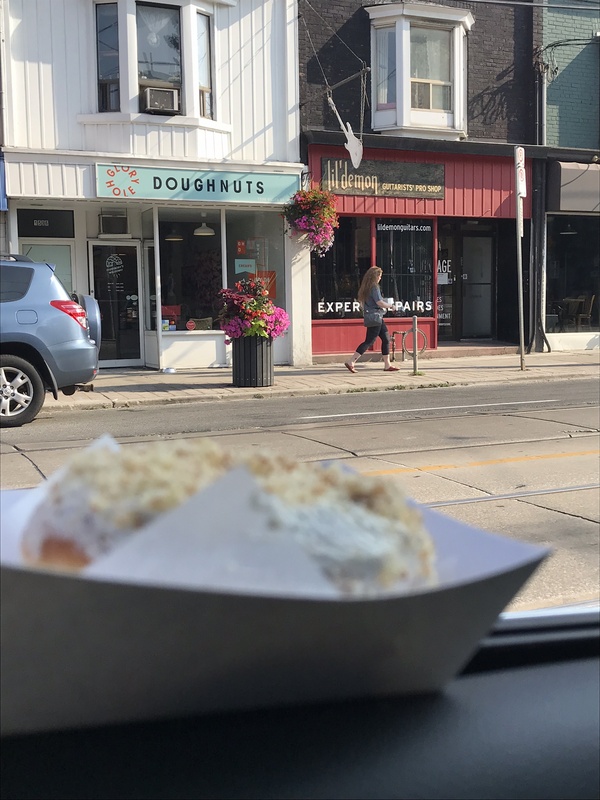 The lightly sweet cake donut was covered in a light, crème fraîche-like frosting topped with crumbled breadcrumbs. It was so wonderful in its simplicity and light-yet-buttery taste that I had no problem buying all of the donuts they had left, which, thankfully for my overworked pancreas, was just three. 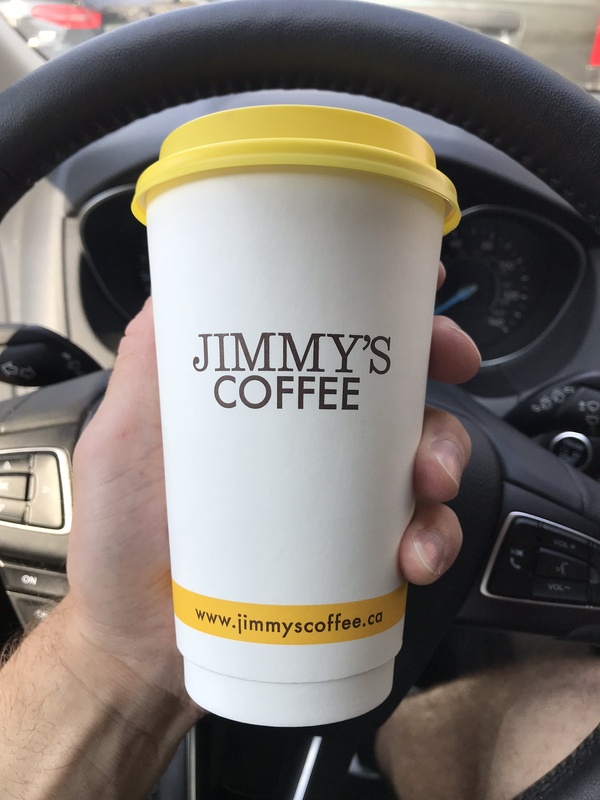 I paired it with Toronto’s most famous coffee chain, the one with the yellow lid, Jimmy’s Coffee. Why can’t Jimmy’s be as successful as Starbucks? Jimmy’s is infinitely better. Fat and happy, I set my sights on the sights. I did a little touring around the city, which, mid-morning, meant sitting in traffic. The weather was intermittently bad or not great, so that wasn’t the worst thing. Traffic. If only Canada were immune. Yes, that’s the CN Tower in the background. Deciding that the CN Tower looked close enough to the one’s I’d visited in Seattle and Auckland, New Zealand, I opted to just visit a museum. This brought me to the Royal Ontario Museum (ROM). I found this funny because I’d just finished reading a book, Calculating God, which took place there. It’s an interesting read about aliens, God, and the foundations of the universe and holds a surprisingly not-hostile secular viewpoint towards Creationism which made it unique in and of itself. As museums go, it was certainly above average. 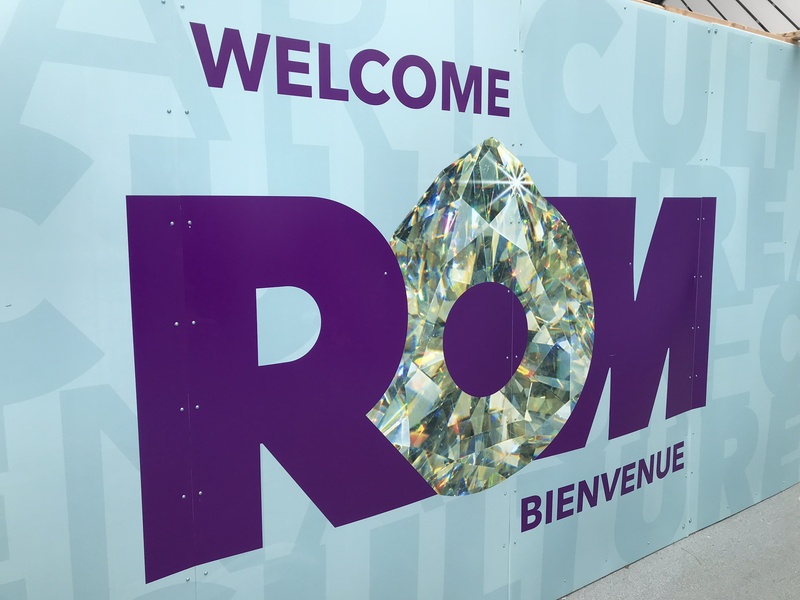 Anywho, the ROM proved to be just another museum — albeit a good one — so I finally felt like I’d soaked in enough cutlure to justify fishing for the rest of the trip. I had to be back in Buffalo for a conference the next day, so it was now or never. I settled on a park where I proceeded to quickly catch a small fish, a Round Goby. Then a salmon angler returned, filleted his catch, and threw the carcass near where I was fishing from shore. In less than two minutes, it was covered in swarming black monsters. The Scourge of the North! 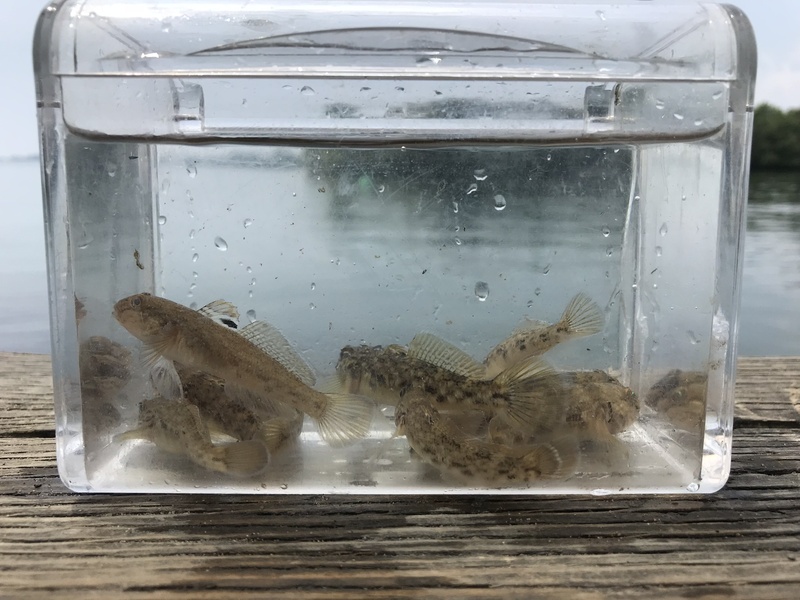 Round Gobies were introduced (most believe) from the ballast water of a ship from the Old World and have found their way into most of the Great Lakes. They now dominate the biomass and can be found anywhere and everywhere in this region. Oh. You thought I was kidding. This took three minutes. Apart from a few sunfish and perch, I didn’t catch another species that trip to Toronto. No sculpins. No shiners. No nothing. It was honestly kind of tragic. Fortunately, I reached out to Ken Tse (http://muskiebaitadventures.blogspot.com/), albeit a little late on my part, and he gave me some spots that redeemed the trip. 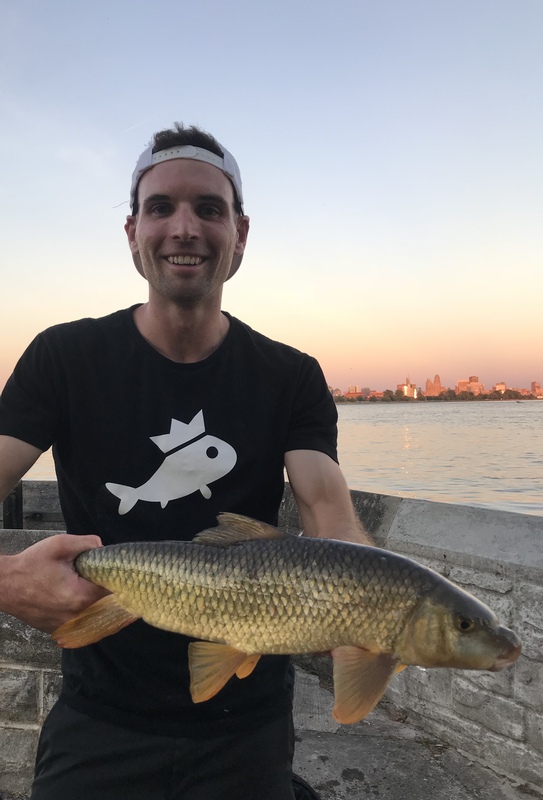 Read the next entry in #SpeciesQuest here: Species #158 — Shorthead Redhorse. 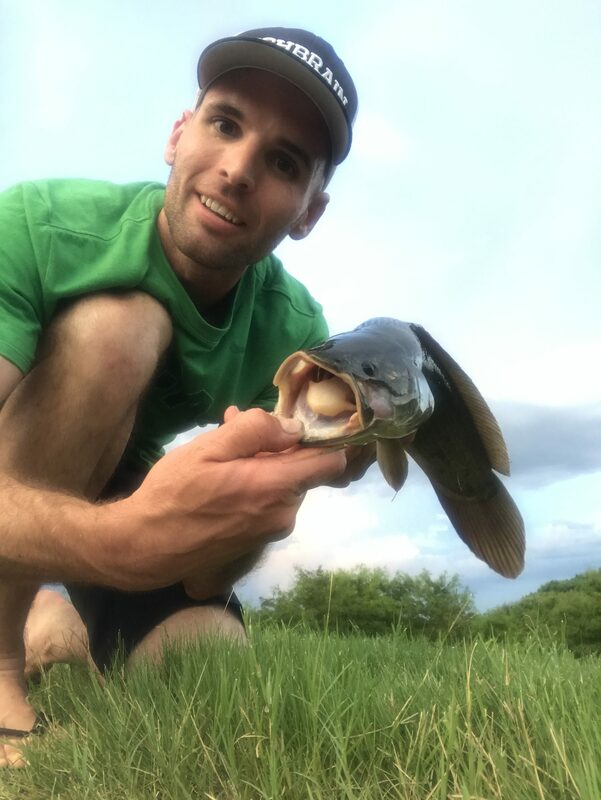 Had I caught my first Walking Catfish by jigging, this story would be longer. I remember reading about Walking Catfish in one of the dozen or so outdoor magazines I subscribed to growing up. Yes, I spent virtually all of my disposable income in junior high and high school on magazines, but that’s beside the point. At the time, Walking Catfish were relatively isolated and just beginning to march across much of their current range in Florida. Magazines painted them to be some vicious monster that would decimate fisheries on a large scale. Some 15-20 years later, we know that was overblown. 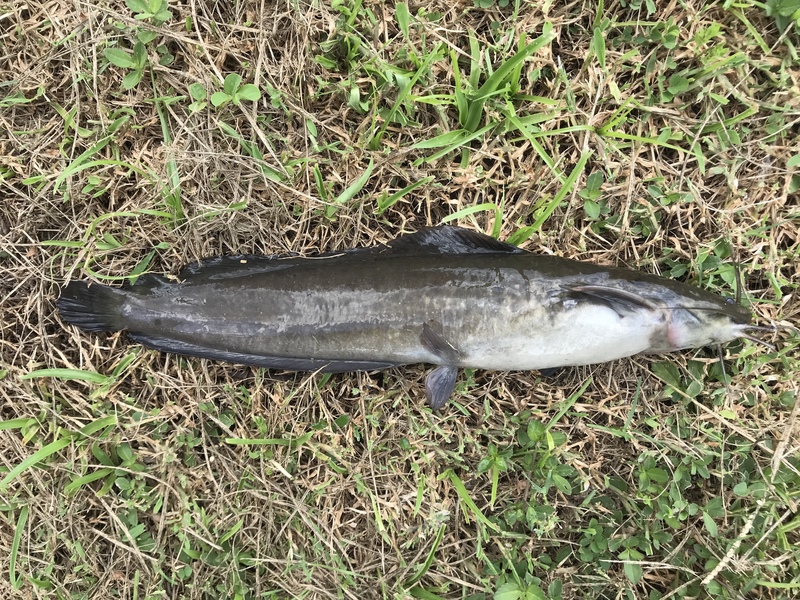 Like most invasives, they do cause harm to the environment because the niche they carve out displaces some other (usually native) species, but in the case of Walking Catfish, they haven’t radially changed the Florida scumsucker hierarchy. Lawyers still rule, followed slightly by Channel Catfish, Flatheads (where present), and then Brown Bullheads, Walking Catfish, and Brown Hoplo. The latter is another invasive and one “easy” species I failed to capture on my first trip to Orlando, but I’m not bitter. 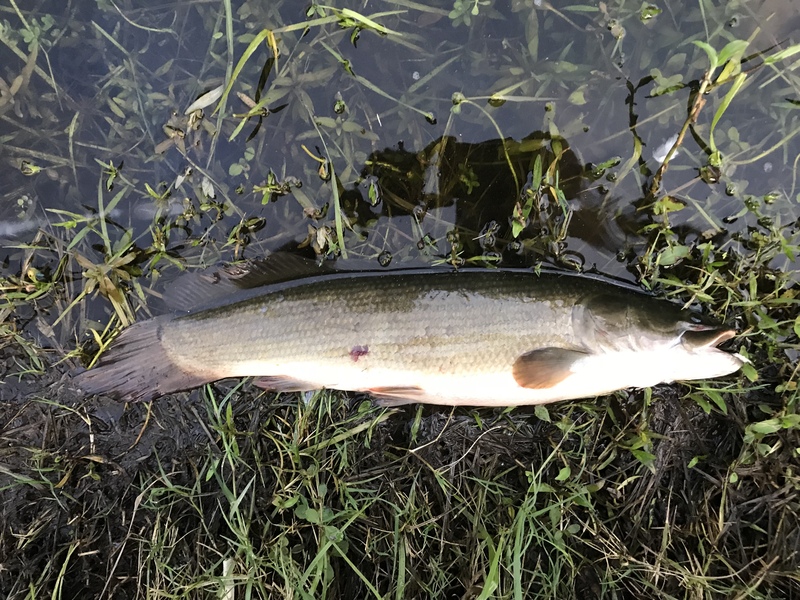 Brown Bullhead, a Florida native, are so widely established across the country that even though they may have lost some territory to the Walking Catfish, they are doing just fine. As for my Walking Catfish, I caught it in a disgusting swill hole at a park. It was flush with Eastern Mosquitofish, Bowfin, and Walking Catfish. I finally added this species while soaking half a nightcrawler on a No. 8 hook. The fight was forgettable, and though at the time it was a vacant world record, I knew that was short-lived, so I made like a ball and bounced. The record of six-plus pounds has since been recorded, reaffirming my decision to leave when I did. 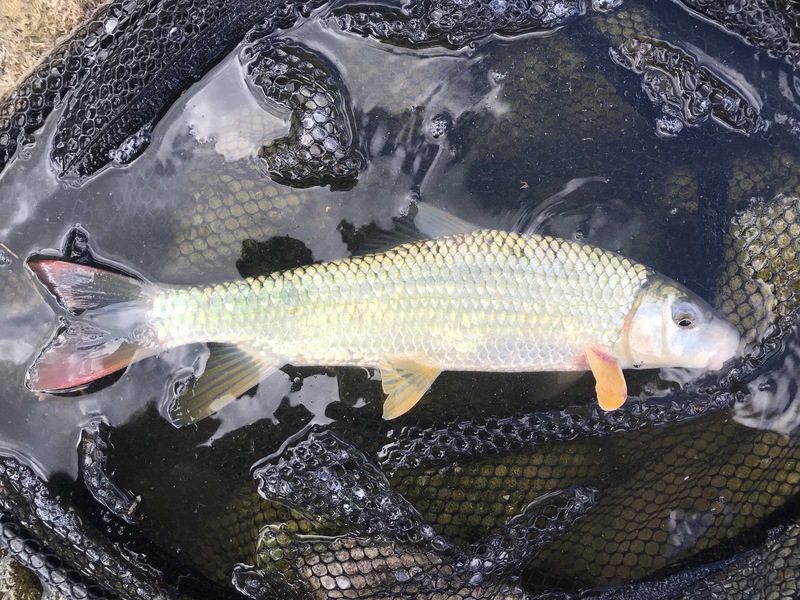 Read the next entry in #SpeciesQuest here: Species #150 — Golden Shiner. The first Longnose Gar I got to hit was a monster. This fish was respectable. Not monstrous, but I was still stoked. Admittedly, tarpon was my favorite catch in Florida, and the biggest prize for me as an angler, but the Longnose Gar I caught was a close second. Read the next entry in #SpeciesQuest here: Species #149 — Walking Catfish.